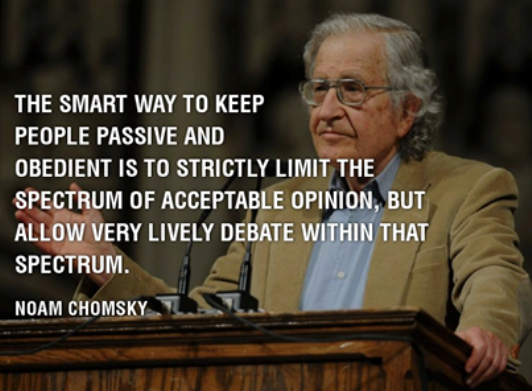 The smart way to keep people passive and obedient is to strictly limit the spectrum of acceptable opinion, but allow very lively debate within that spectrum. 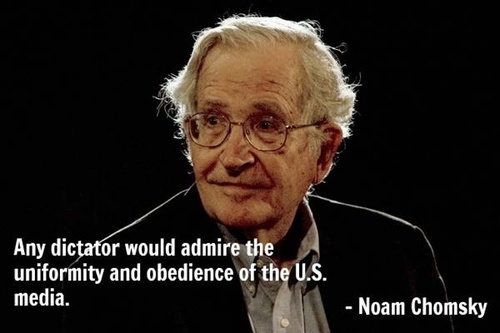 Any dictator would admire the uniformity and obedience of the U.S. media. 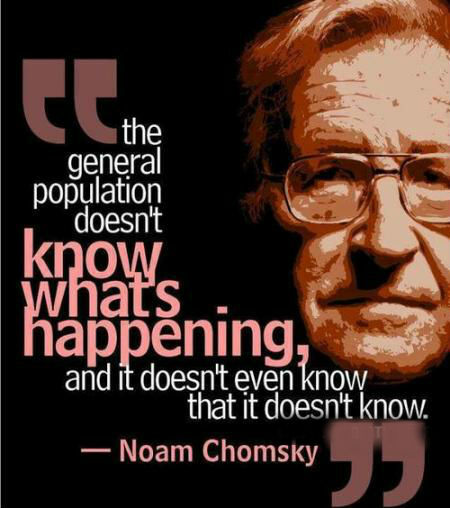 The general population doesn’t know what’s happening, and it doesn’t even know that it doesn’t know. 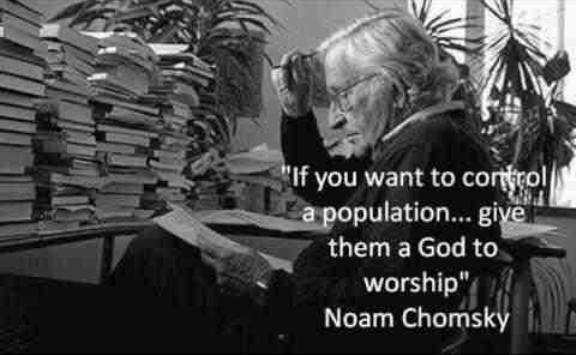 If you want to control a population… give them a God to worship. 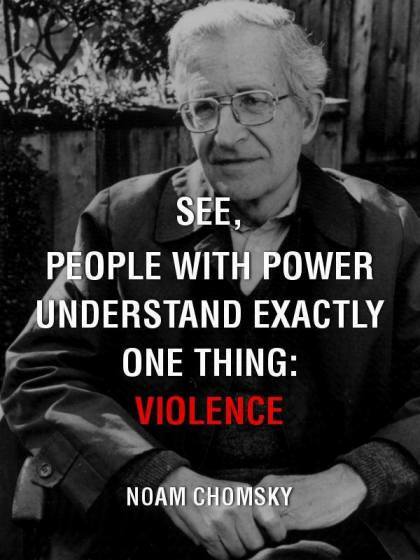 See, people with power understand exactly one thing: violence. 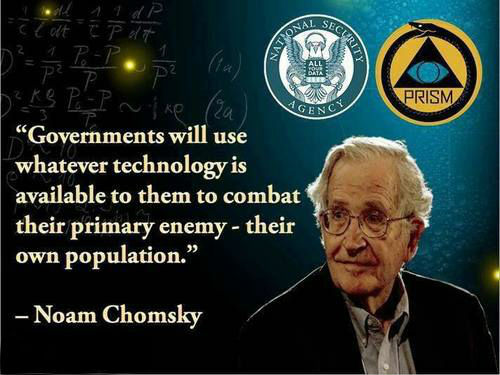 Government will use whatever technology is available to them to combat their primary enemy – their own population. The military system is, to a substantial extent, a method whereby the population provides a subsidy to the high technology industry. An obscenity, a depraved act by weak and miserable men, including all of us, who have allowed it to go on and on with endless fury. If we don’t believe in freedom of expression for people we despise, we don’t believe in it at all. 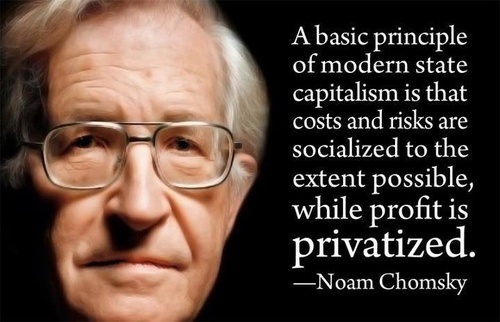 A basic principle of modern state capitalism is that cost and risk are socialized to the extent possible, while profit is privatized. 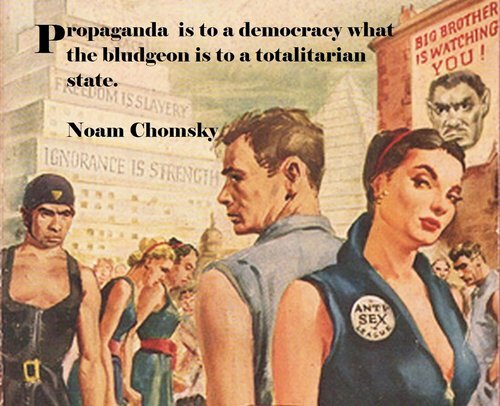 Propaganda is to a democracy what the bludgeon is to a totalitarian state. Either you repeat the same conventional doctrines everybody is saying, or else you say something true, and it will sound like it’s from Neptune. 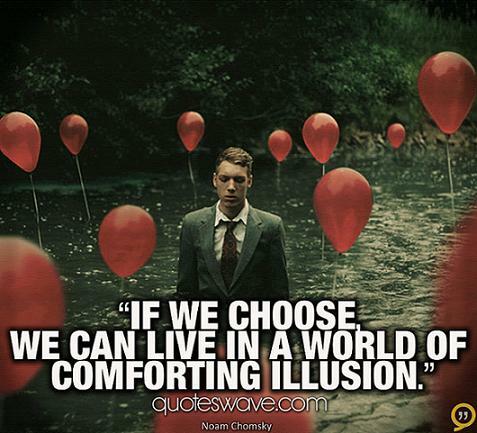 If we choose, we can live in a world of comforting illusion. Whether a person feels positive or not is kind of a comment on their personality and of no great interest. You can find positive signs or you can find negative signs. How you evaluate them depends on something that happened in your life recently or something like that. There’s no objective way to do it. The important thing is you try to commit yourself to making the positive signs more real. Suppose you felt that there’s 99 percent of a probability that human civilization is going to be destroyed in the next hundred years, but one percent chance it won’t be, and that one percent offers some opportunities to do something. Well, you commit yourself to that one percent. The more you can increase fear of drugs and crime, welfare mothers, immigrants and aliens, the more you control all the people. Discovery is the ability to be puzzled by simple things. The United States is unusual among the industrial democracies in the rigidity of the system of ideological control – indoctrination, we might say – exercised through the mass media. We can, for example, be fairly confident that either there will be a world without war or there won’t be a world – at least, a world inhabited by creatures other than bacteria and beetles, with some scattering of others. Language is a process of free creation; its laws and principles are fixed, but the manner in which the principles of generation are used is free and infinitely varied. Even the interpretation and use of words involves a process of free creation. 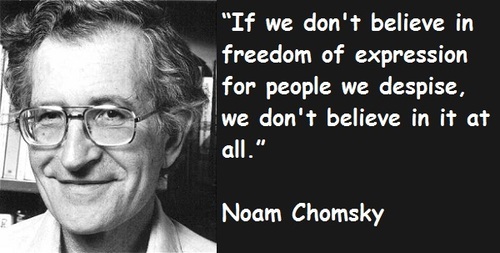 Chomsky was born on December 7, 1928, to Jewish parents in the affluent East Oak Lane neighborhood of Philadelphia, Pennsylvania, the elder son of noted professor of Hebrew at Gratz College and IWW member William Chomsky (1896–1977), a native of Ukraine. A graduate of Central High School of Philadelphia, Chomsky began studying philosophy and linguistics at the University of Pennsylvania in 1945, taking classes with philosophers such as C. West Churchman and Nelson Goodman and linguist Zellig Harris. Harris's teaching included his discovery of transformations as a mathematical analysis of language structure. Chomsky referred to the morphophonemic rules in his 1951 master's thesis—The Morphophonemics of Modern Hebrew—as transformations in the sense of Carnap's 1938 notion of rules of transformation, and subsequently reinterpreted the notion of grammatical transformations in a very different way from Harris, as operations on the productions of a context-free grammar. Harris's political views were instrumental in shaping those of Chomsky. 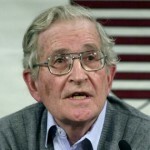 Chomsky earned a BA in 1949 and an MA in 1951. Chomsky joined the staff of MIT in 1955 and in 1961 was appointed full professor in the Department of Modern Languages and Linguistics (now the Department of Linguistics and Philosophy). From 1966 to 1976 he held the Ferrari P. Ward Professorship of Modern Languages and Linguistics, and in 1976 he was appointed Institute Professor. As of 2010, Chomsky has taught at MIT continuously for 55 years.